Ajax puts a comeback and knocks out Juve of Champions League. 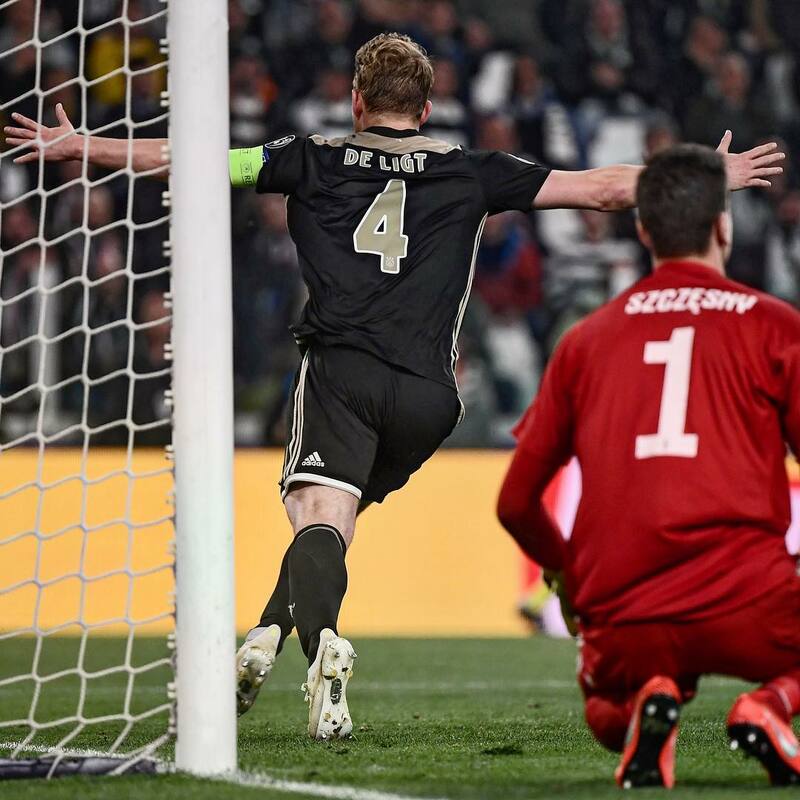 Ajax’s sensational Champions League run continued as teenage captain Matthijs de Ligt’s goal eliminated Juventus and secured their place in the semi-finals. Cristiano Ronaldo, a five-time winner of the tournament, headed the hosts in front from a first-half corner. But Ajax battled level as Donny van de Beek controlled Hakim Ziyech’s shot and slotted past Wojciech Szczesny. Ziyech went close after the break before De Ligt, up from the back, scored a decisive, powerful header. Meanwhile, as they did after their sensational away win over Real Madrid in the previous round, Ajax’s youthful side bounced in front of their raucous band of supporters and home fans streamed out the exits. Ajax will face the winner of Manchester City and Tottenham’s quarter-final, which Spurs lead 1-0 before Wednesday’s second leg at Etihad Stadium. Victory marks Ajax’s return to the last four of Europe’s premier competition for the first time since a team containing Daley Blind’s father Danny, Marc Overmars and Ronald de Boer were beaten in the 1997 semi-finals – by Juventus. 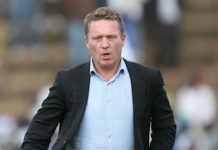 Without an automatic group-stage place for the Eredivisie, the current side started their Champions League campaign as 250-1 outsiders in July’s qualifying rounds. However, their attacking exuberance and unwavering belief in their ability to match the continent’s best was summed up by De Ligt. The 19-year-old captain was found wanting for Ronaldo’s opener, unable to track the Portuguese’s run through a packed penalty area and leaving him free for the 98th headed goal of his career. However, after regaining his defensive composure, De Ligt completed his redemption from Ajax’s own set-piece, planting a downward header past a rooted Szczesny. This season will be this Ajax side’s only shot at regaining the trophy they last won in 1995. Manager Erik ten Hag has admitted De Ligt will leave at the end of the season, while team-mate and fellow teenager Frenkie de Jong has already agreed a summer move to Barcelona. Dangerous wide attacker David Neres, meanwhile, has been linked with a move to the Premier League. Ronaldo, recruited at a cost of £99.2m in the summer, was intended to provide the final piece of Champions League-winning know-how for a Juventus side that had lost two finals in the previous four seasons. A second-leg hat-trick dragged his side to victory over Atletico Madrid in the last 16, but his dreams of matching former Ajax, Real Madrid and AC Milan midfielder Clarence Seedorf by lifting the trophy with a third different club were wrecked by Ajax’s collective brilliance. Instead, he will be absent from the last four for the first time since 2010. Funds allowing, manager Massimiliano Allegri may contemplate more additions to his squad this summer to try to add continental success to their domestic dominance. Ajax have qualified for the semi-finals of the European Cup/Champions League for the ninth time in their history, and the first since the 1996-97 season. Ajax are the first team from outside the traditional top five European leagues to reach the Champions League semi-final since 2004-05, when fellow Dutch side PSV Eindhoven did so. Juventus have lost two home games in a single European Cup/Champions League campaign for the first time in their history (1-2 v both Manchester United and Ajax). Ajax have scored 155 goals this season across all competitions, their joint-most in a single season in club history (also 155 in 2009-10). This was Ajax’s third consecutive away win in the Champions League; their longest such streak since between November 1995 and March 1997 (seven wins). 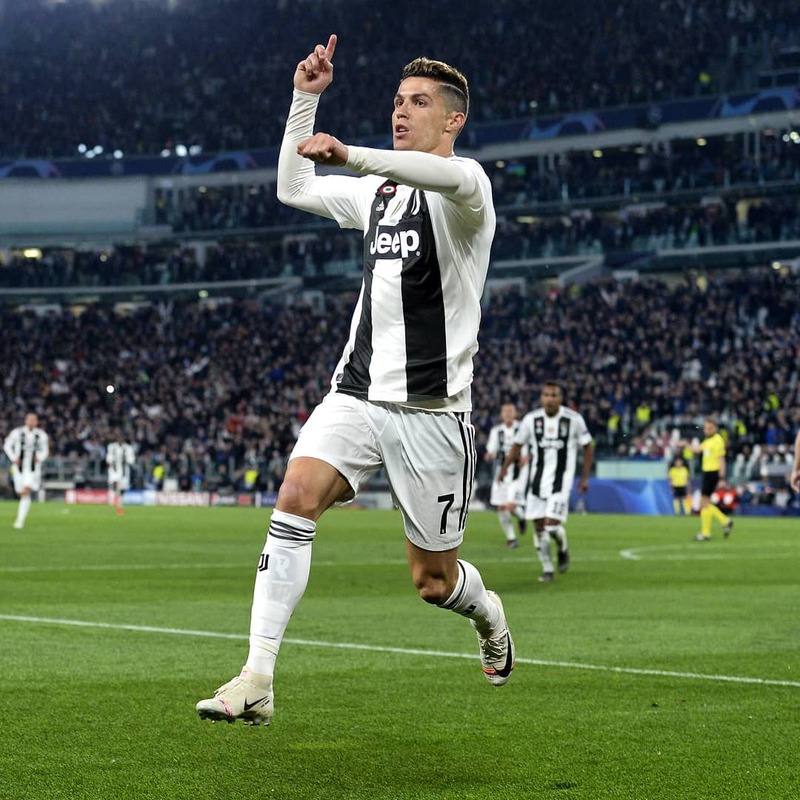 Juventus’ Cristiano Ronaldo has netted nine goals against Ajax in the Champions League – only against his current club Juventus (10) has he scored more against a single opponent in the competition. Ajax defender Matthijs de Ligt is the youngest Dutch player to score in a Champions League knockout match (19 years 246 days) since Nordin Wooter in April 1996 for Ajax versus Panathinaikos (19 years 237 days).